In Mumbai, I did not cycle much during my childhood as trains were the best way to commute to school. But higher secondary was different, I cycled to college as well as on weekend trips to Vasai Fort, Virar, and Vajreshwari hot springs. I remember my first cycle, it had what was referred to as a “fixed wheel cycle” also called “fixed gear cycle” . Going downhill was such fun, I had to pedal all the way down. I love the mountains too. Growing up with 4 siblings, in a lower middle class home, finances were a constraint and joining a mountaineering course was out of reach, but nothing could stop me from heading out to the mountains in Western Ghats as often as possible with a group of fellow trekkers. I remember my Bheemashankar trek, sitting on the edge of the mountain and looking at the clouds below, I almost felt that I was sitting in the clouds. Even today I head out to the Himalayas, every year. With a cool head on my shoulders, I don’t panic easily, a blessing in the unpredictable weather of the Himalayan mountains. I have done the Goechala trek twice in a row, Chandrakani pass, Everest base camp and more and recently the adventurous and slightly risky Dhoomdhar kandi pass. My only regret was not completing the Kalindi pass trek. And as much as I love the mountains, I am conscious of how much trekking can ruin the frail terrain of the Himalayas, so in each of my treks I try to ensure that we leave as small a footprint as possible. Competition has never been in my DNA, which is probably why I took to marathon and ultra running as a means for fundraising. When Sindhu, my wife, first suggested that we start running, I was not much inclined to listen to her. Long distance running appeared to be a ‘loner’ sport to me. Although quiet by nature, I like group activities. How wrong I was. My first few runs in GKVK with Sabine, Sudarshan, Sudhir, Patil showed me how much of a group activity running can be. And now I am hooked to running for life. When I run long distance races, I always set up a fundraising goal. The pressure of meeting a fund raising target and my own running goal, with the only competition being myself, therein lies a great sense of achievement. 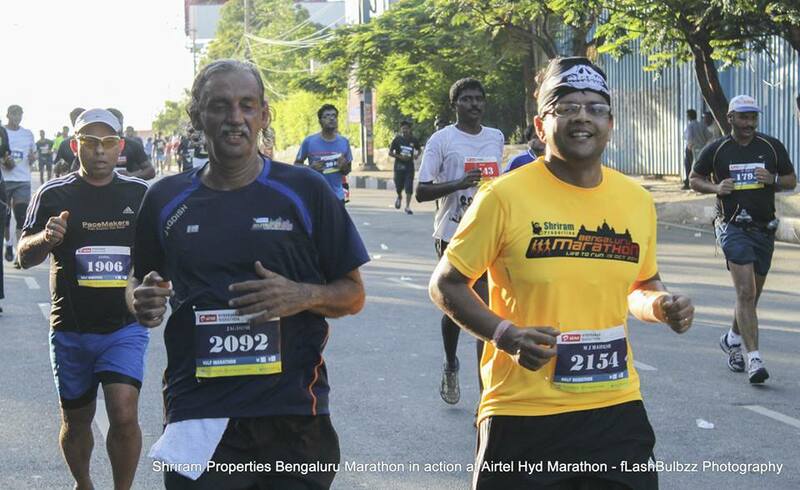 Over the last seven years, the running community in Bengaluru has grown leaps and bounds and I am proud to be part of one of the largest groups, the Pacemakers, where I try to train under Kothandapani or as he’s fondly called Pani sir . When not running or trekking I work at Hewlett Packard and have had the good fortune of working in a very supportive environment which has allowed me to balance work, family and my interests. I enjoy setting new challenges for myself, having done the 24 hour Ultra two years in a row.